Executive produced by Michael Moore (Fahrenheit 9/11, Bowling for Columbine), The Eyes of Orson Welles uses these artworks to bring vividly to life the passions, politics and power of Welles, and explores how his genius still resonates today. The Eyes of Orson Welles is produced by Mary Bell and Adam Dawtrey for Bofa Productions, in association with BBC Arts and Filmstruck, supported by the National Lottery via Creative Scotland’s Screen Fund. Executive producers are Mark Bell, Mark Thomas and Michael Moore. As a child prodigy, Welles trained first as a graphic artist before finding fame at a spectacularly young age as an actor and director – on radio, on stage and in the cinema. Films such as Citizen Kane, Touch of Evil and Chimes of Midnight made him one of the most celebrated creative icons of the 20th century. Welles continued to draw and paint throughout his life. It was his reflex way of responding to the world. When he died over 30 years ago, he left behind hundreds of character sketches, set designs, visualisations of unmade projects, illustrations to entertain his children and friends, doodles in the margins of personal letters, and portraits of the people and places that he loved. Most have been locked away since his death. Now, for the first time, his daughter Beatrice Welles, who also appears in the film to offer her personal insight into her father and his artworks, has granted Cousins the exclusive right to make a film using her father’s artworks. They are a sketchbook of his life, a window into his world, and a vivid illustration of his creativity and visual thinking. Cousins reveals how Welles’ graphic imagination offers a new way of understanding his ground-breaking work in the theatre and on film. 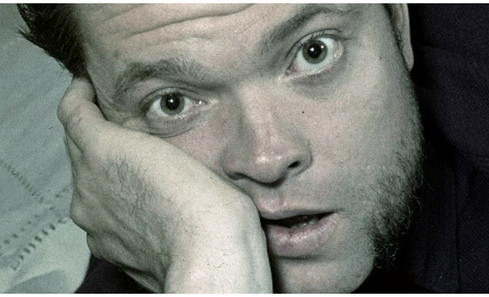 The Eyes of Orson Welles will screen in the Cannes Classics section.